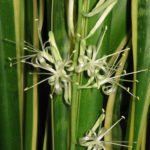 Sansevieria trifasciata is an evergreen, perennial plant forming dense stands, spreading by way of its creeping rhizome, which is sometimes above ground, sometimes underground. 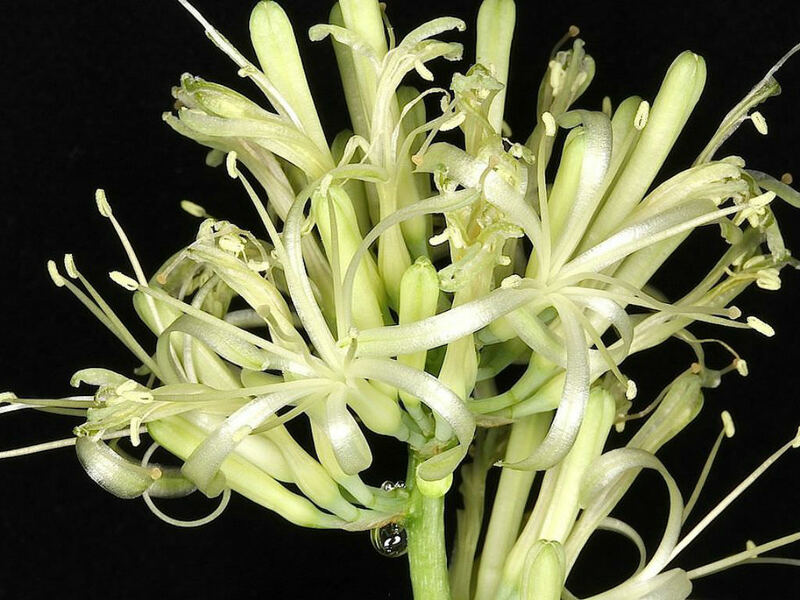 The stiff leaves grow vertically from a basal rosette. 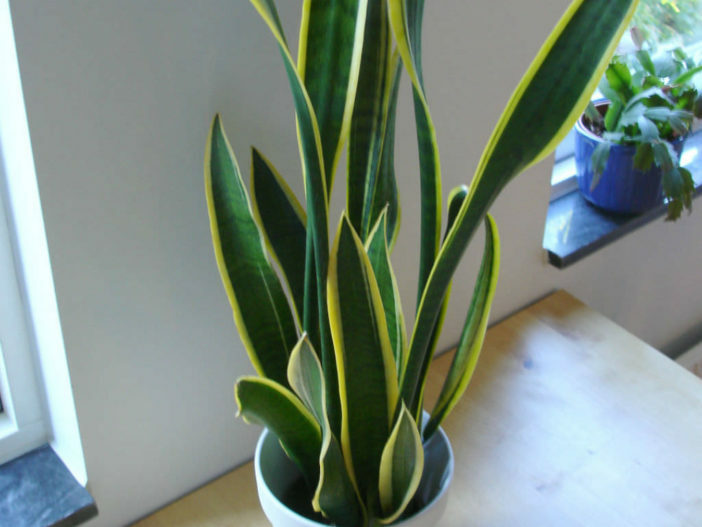 Mature leaves are dark green with light gray-green cross-banding and usually range up to 3 feet (90 cm) long and 2.4 inches (6 cm) wide. 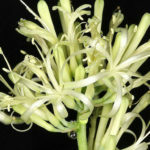 The small, tubular, pale green flowers bloom in summer or autumn. 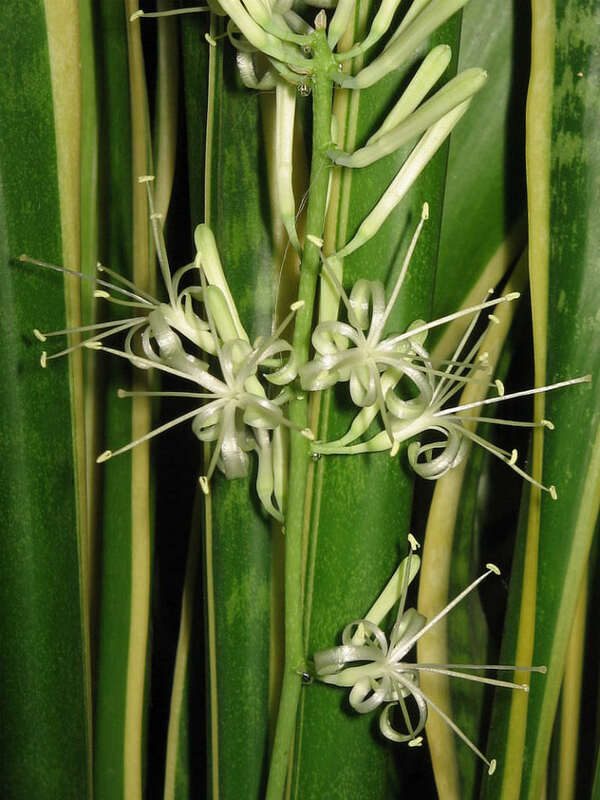 Sansevieria trifasciata is native to tropical west Africa, from Nigeria east to the Congo.